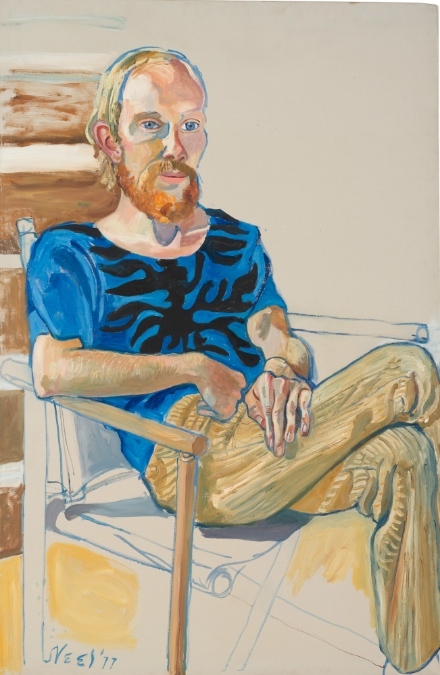 The Victoria Miro Gallery has staged an intimate selection of portraits by Alice Neel, focusing on her work with male subjects. Titled “Men Only”, the show highlights Neel’s relationship with the different men who posed for her over the years. Some are close friends, others are blood relatives, some were strangers that caught her eye, but each portrait gives a glimpse into the personality of the sitter. 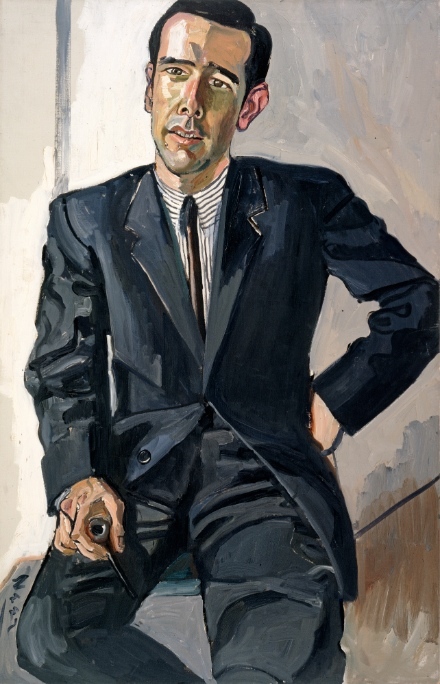 Painted between 1957 and 1977, the eleven portraits continue Neel’s focus on portraiture. 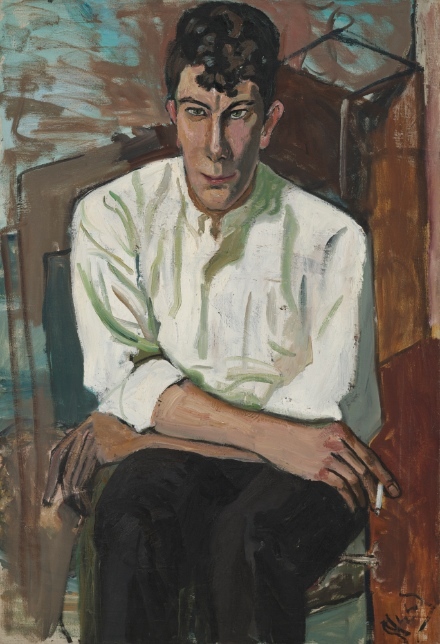 Known for working in a figurative style when others were beginning to experiment with abstraction, Neel has been hailed as an important figure in Twentieth Century art history. 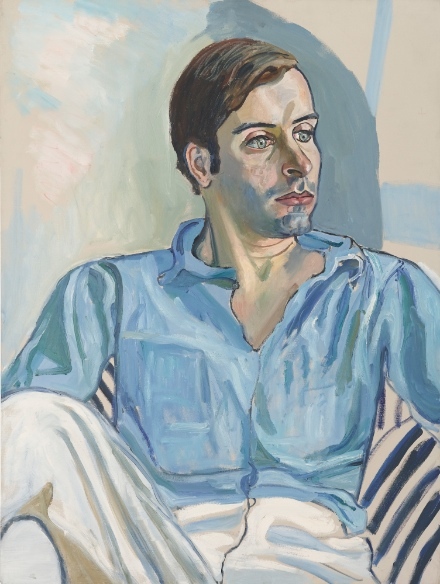 A certain level of abstraction can be found in Neel’s portraits, seen in the exaggerated body language of the men and treatment of the backgrounds in her paintings. At times the men look withdrawn or stiff, though with close attention to the sitter’s facial expressions. 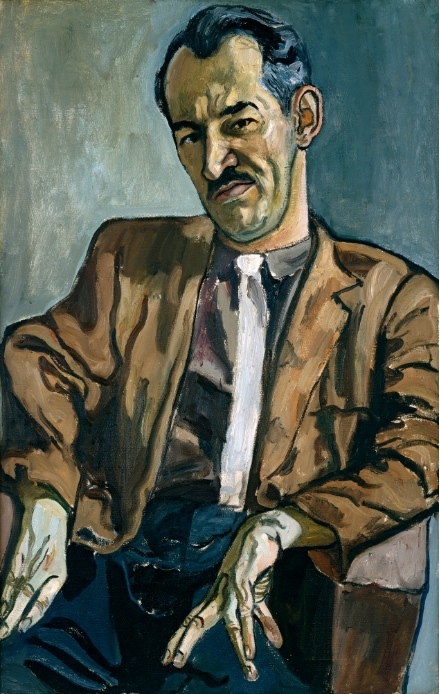 Each portrait seems to explore Neel’s relationship with that particular sitter- we can see in her methods of rendering attention that appear caring, detached or studied. 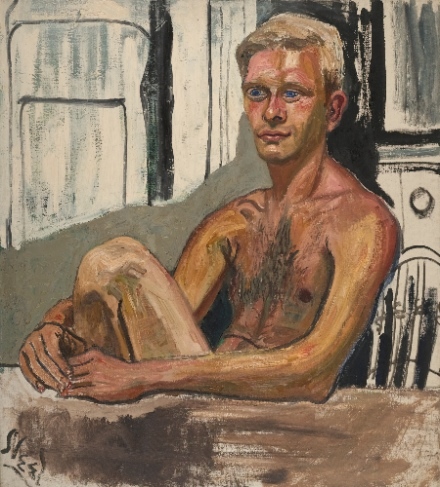 Two of the most simple pieces- Hartley and Richard, portraits of her sons- are also the most intimate, with the subjects appearing as less self-conscious than others. 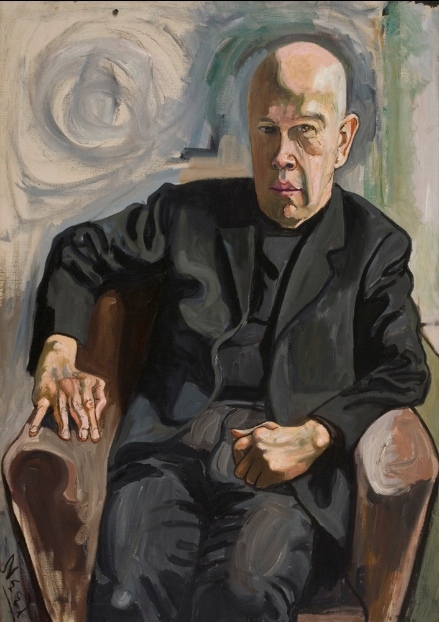 The exhibition also showcases Neel’s third portrait of author Max White, the third and final portrait she painted of her friend. 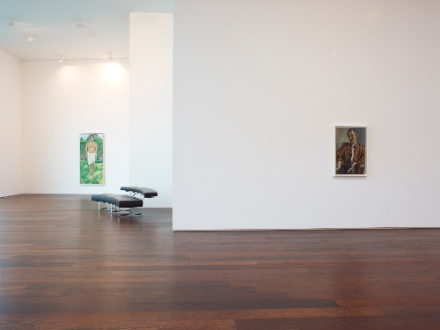 Alice Neel is best known for her paintings, and her long rise to fame culminated with the height of her popularity coming shortly before her death in 1984. “Men Only” has an accompanying catalog containing a piece by the poet/art critic Sue Hubbard, who has written about Neel and her work for several online publications. 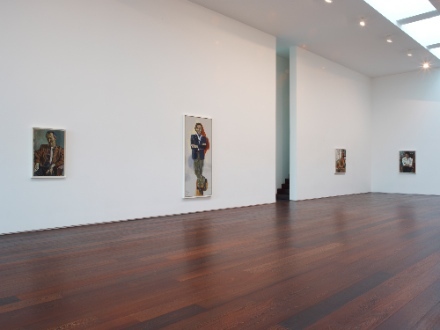 The exhibition runs until July 29th. This entry was posted on Sunday, July 17th, 2011 at 7:05 pm	and is filed under Go See. You can follow any responses to this entry through the RSS 2.0 feed. You can leave a response, or trackback from your own site.